1. Into a bowl, sift the flour. (Add the optional salt and oil now, if desired, and stir.) Slowly add the water, gathering the flour to make a dough. Knead the dough in the bowl for 6 to 8 minutes, until the dough is smooth, soft, and very pliable. Press your index finger slightly into the dough, and if it springs back, it is well kneaded. Cover the bowl with plastic wrap or a lid and leave it in a warm place. 2. After 30 minutes, knead the dough for a minute then divide it into twelve equal balls. Dust them lightly with the additional flour to prevent them from sticking to one another, and return them to the bowl. Cover. 3. Heat a cast-iron or nonstick griddle or skillet on medium-low heat. Take a dough ball and flatten it between the palms of your hands. Dust it with flour on both sides and, with a floured rolling pin, roll it out into a 7-inch round. Keep dusting it with flour occasionally to prevent it from sticking to the work surface or the rolling pin. When the griddle is hot, gently place the chapati on the griddle and cook for 30 to 35 seconds until soft bubbles begin to form on top. Brush the top with a little ghee and flip the chapati and cook on the other side for 20 seconds. Remove to a platter and cover to keep warm. A well-cooked chapati should be light and fluffy.  Cook the remaining eleven balls in a similar fashion, stacking them and covering them. Serve hot. 4. Chapatis can be prepared several hours in advance and then warmed before serving. Wrap them in foil and heat them at 300 degrees in a preheated oven for 10 to 12 minutes. Chapatis go well with any vegetable dish. 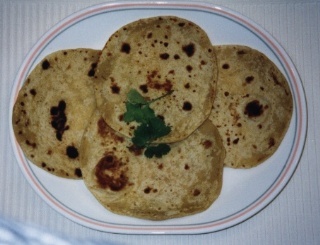 Chapatis are the most popular of the Indian breads. Authentic chapati flour is available in Indian grocery stores, but you can substitute whole wheat flour (supermarket brands) for very satisfying results.